Can we wait until after 14th December please? There's a film about little people that I want to watch. Elessar wrote: Can we wait until after 14th December please? There's a film about little people that I want to watch. I think the date is the 21st so your safe! 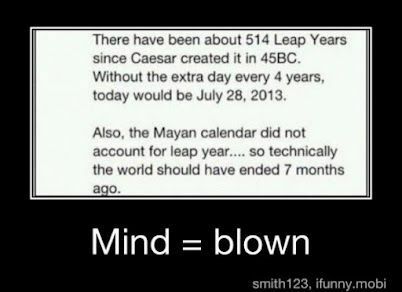 Sorry, the world ended in 2010. What's gonna do us in this time? ?